I 'm a storyteller, I grew up listening to stories. Everything informs my writing... but I shall say travelling and living in different countries, between cultures and languages has exposed me to the most incredible experiences. Living between cultures and languages has shaped the person I am. Definitely growing up in South Africa during apartheid has informed all my life as a woman, writer, mother, educator and activist. 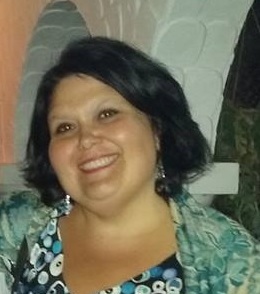 I work as a school facilitator in multicultural educational programs from primary school to high school. I have more than twenty years of experience working with marginalized communities across the world: children with special needs, survivors from trauma, incarcerated people, immigrants, refugees FGM survivors using Art (writing, visual, poetry, theater) to raise awareness and encourage human expression through imagination and creativity. I'm a trained Art Therapist at Psico Art/Italy. I have published eleven books. 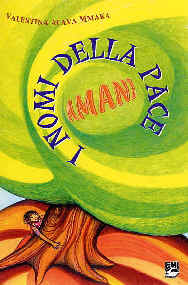 Children books: Il mondo a colori della famiglia BwanaVal (Kabiliana 2002), Jabuni e il mistero della città sommersa (EMI 2003), I nomi della pace Amani (EMI 2004), La Storia di Selma (KabilianaPress 2016), Le Fantastiche Storie di Ortensia (KabilianaPress 2016); novels Cercando Lidniwe (Epoché 2007 - KabilianaPress 2014), Il Viaggio capovolto (Epoché 2010); playwrights: Io donna immigrata - I immigrant Woman (EMI 2004), The Cut (KabilianaPress 2016); Poetry: L'Ottava Nota (Prospettiva 2002), Out (Kabiliana Press 2016); Essays: THE CUT Global Voices for Change to break the silence on Female Genital Mutilation (KabilianaPress 2016). Two of my plays have been staged in different countries: "Io ...donna ...immigrata ..." in Italy, France, Congo, Egypt, Algier, South Africa. 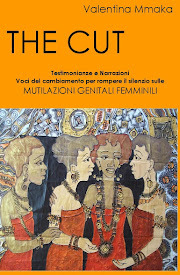 "The Cut" in Italy, Spain, South Africa. 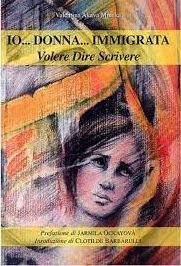 "Io ... donna..immigrata..." after 14 years from its publication is still studied in ISL (Italian as a second language) courses for foreigners in Italy. 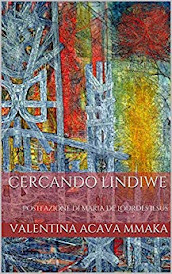 Some of my poems have been published on Munyeri, Alma, Magazine of Italian Studies in South Africa (UNISA) and Pambazuka. I'm a free lance collaborator of several magazines: Alma, Warscapes, Munyeri, Pambazuka, AIA, IMO, Nigrizia, Stilos. I am an active campaigner advocating to raise awareness on Female Genital Mutilation through media and education. I also deliver training programs to students, educators and communities using ART as a tool to create address social change and make impact. I'm the founder of the multitask program Invisible Cities which aim is to create an international community of artists who can create and share their stories to connect people across countries and build an inclusive, multifaceted, creative society. I'm working on a multimedia project with photo reporter Cinzia D'Ambrosi on Female Genital Mutilation. The project Hidden Parallels aims to disclose and capture the impact of FGM on women and men in society. I 've founded Creative Encounters in Nairobi, an artistic platform where artists from different art fields share their work and ideas . I'm teaching several writing workshops. You can check at the Horoeka Writing Hub. Through this program I mentor aspiring writers and encourage people who have a passion for reading and writing to pursue their journey through creative writing workshops. As a multicultural art facilitator I design educational programs for children from kindergarten to secondary school to encourage children's creativity. My work focuses on art education and community activities as a tool to promote social change. If I have to set a date of when I started writing I would probably say I was an early teenager. Going back in time and surfing the watery surface of memory I should say that my writing coincided with a turning point in my life, my immigrant experience, that change my life radically. At that point, writing served as a way to heal and find a way to define who I was, my own identity. At that time I wrote mainly poems. At college, I had two wonderful professors who told me I should have continued writing and is what I did, also because I wouldn't really know what else to do. It's true, the life of an artist is full of challenges, but I wouldn't be able to imagine myself other than that. I started seriously writing about social issues and soon became a journalist. I remember the day I bought an Olivetti 33 writing machine where I started my way out in the writing world. 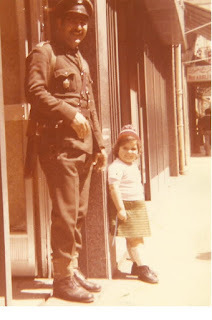 For many years I wrote stories, poems, novels but never thought about publishing. I taught creative writing, I used writing as a healing tool working with marginalized people, especially women, people with addictions, immigrants, youth, elders. It is when I got pregnant of my elder daughter that publishing came in my mind and thought I would try to share my work with others and connect people through my stories. Sixteen years have passed and I've published eleven books and one is on the way to be published. 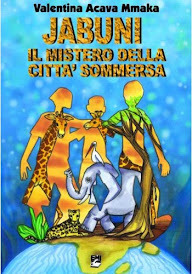 Thank's to being published, I have traveled all over the world, met readers and writers, worked with wonderful people, started my work as a school facilitator in multicultural educational programs. Though to my students I always tell them not to write having in mind the publishing issue, but only the work. The works is what matters, nothing else. I consider the nomadic experience, transitioning from one place to another, from one experience to another, the essence of human condition. For this reason when I'm asked where is home, I say home is within me. I carry my roots within my identity, there's no place that I can call home because all the places I lived and experienced have been vital in my life and home at the time I experienced them. It's more interesting and challenging the idea of roots that you carry within yourself, than having to think of a fixed place. The other questions is What scares you most? Stillness. I can't see myself without the dimension of the Journey either physical, emotional or intellectual. And last but not least Why fiction matters, why words matters? To answer this question I always love to quote the psychologist Michael Ventura who says that "working with words is not like working with color or sound or stone or movement. Color, sound, stone and movement are all around us, they are natural elements, they've always been I the universe, and those who work with them are servants of these timeless materials. But words are pure creations of the human psyche. Every single word is full of secrets, full of associations. Every word leads to another and another, down and down, through passages of dark and light. Every single word leads, in this way, to the same destination: your soul. Which is, in part, the soul of everyone. Every word has the capacity to start the journey. And once you're on it, there's no knowing what will happen." Words have this enormous power to dig deep in our unconscious and reveal something of it, bring it to the surface. 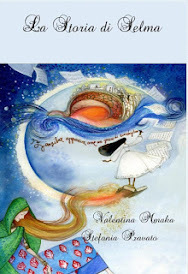 Valentina Mmaka is a writer friends of the forests.